Paper play is both creative and educational fun that children can't get enough of. In constructing easy to make shapes, children create a fascinating world, while developing manual dexterity and spatial imagination. 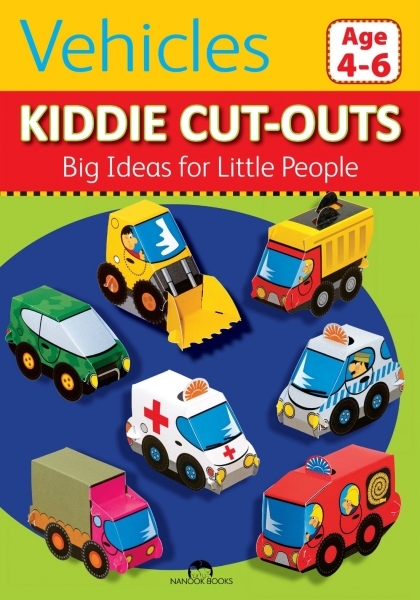 In other words, the cut-outs presented within make 'Big Ideas for Little People' the most engaging activity book you can introduce to your child. The animal shapes found on these pages can be created by your child without any help from an adult - and no need for glue or scissors. The patterns, clear instructions and pre-made pop-out shapes make it easy for little hands to manipulate these fun shapes. The simple stories on each page are an added attraction and suggest how to make the paper models come alive! This 'Big Ideas for Little People' collection for children introduces your child to the art of paper folding, an educational activity that awakens and captivates the imagination. Each booklet consists of cardboard pages featuring pre-cut models for assembly.